A nice summer evening is asking for some candlelight. 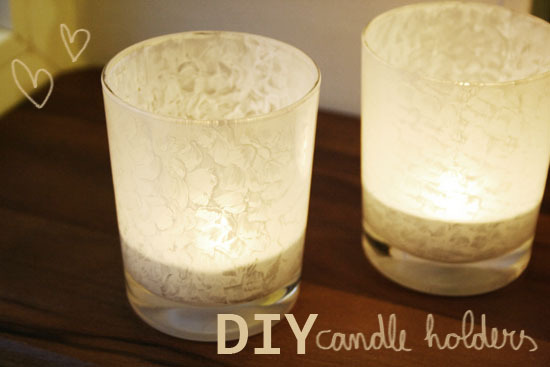 This is a quick little DIY project that gives you just that. I love how the light shines through the painted glass! This recipe is so easy that you really don’t have to be a queen in the kitchen to make this. 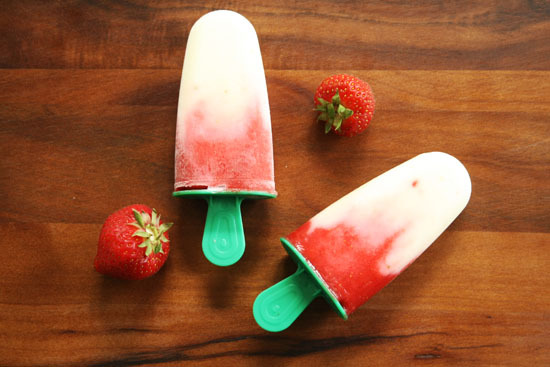 I bought some popsicle molds and decided to make some simple but delicious popsicles. Here is the recipe! I bought a black t-shirt for my boyfriend with the intention to make something cool with it. I thought it would be great to create something with bleach. He is a big fan of the Foo Fighters so when I asked him what kind of t-shirt he wanted he asked for a Foo Fighters shirt. 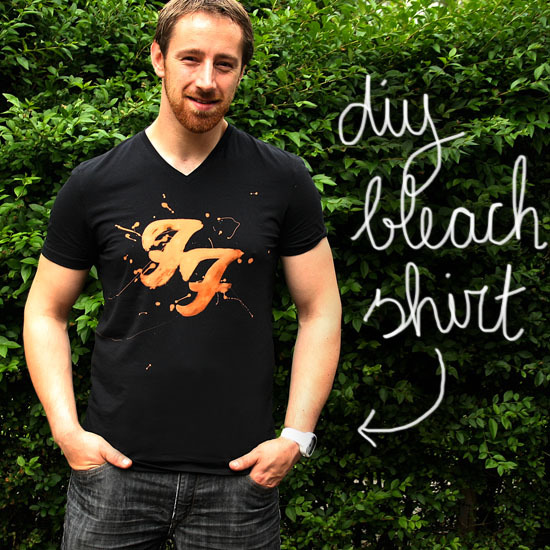 The splatters of bleach around the logo make that it looks like it’s drawn in light. This tzatziki is really nice on a French bread or as a sauce in a pasta salad. It’s easy to make it yourself and it will be an absolute winner at your next barbecue or garden party! 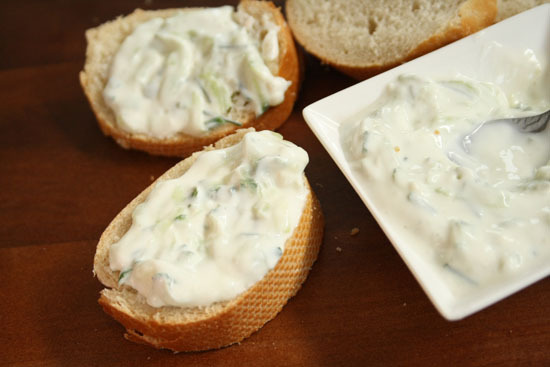 The original tzatziki doesn’t contain chives, but I love the taste of it together with the fresh yogurt and cucumber. 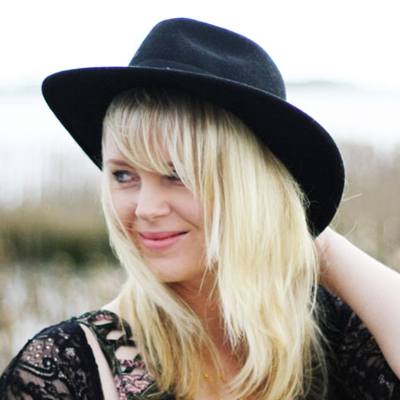 I love to make necklaces from things you don’t expect to become something pretty. Like the penne necklace I made before. 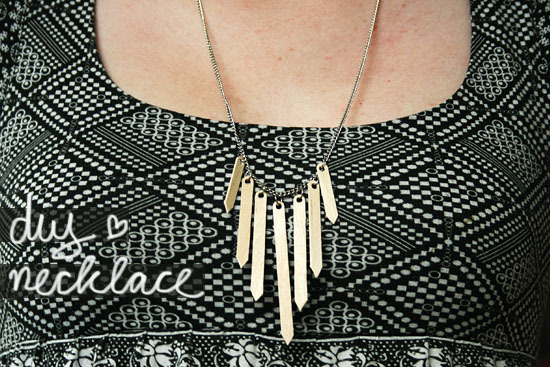 Today I’m going to show you how to make a necklace from wooden coffee stirrers! 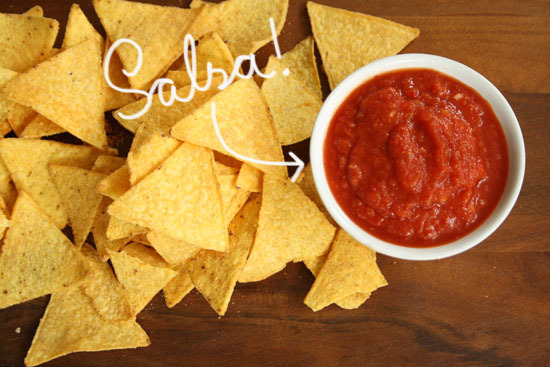 Recipe – Tomato salsa as tortilla chips dip sauce! My sister is going to stay with us for a few nights so I decided to make something delicious for tonight. I have to work, but my boyfriend and sister will have this delicious tomato salsa that is perfect as a tortilla chips dip sauce! It’s just a few minutes work but it really tastes great! I have a lot of old picture frames lying around that I can’t paint. And with can’t I mean that I did try to paint them but for some reason the paint keeps turning orange. It’s mixing with the ‘stuff’ (whatever it is) that gives the frame a wood print. I don’t want to trow them away so I thought of something to go around this painting problem. 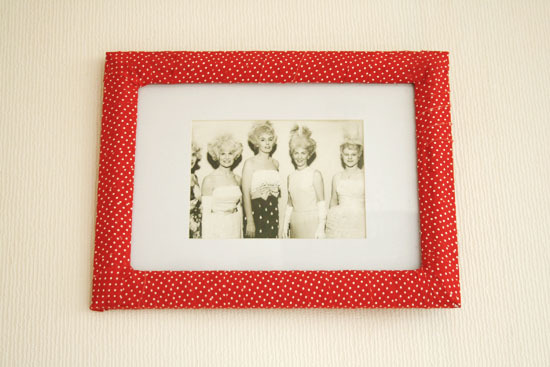 This DIY project is a quick and easy way to spice up those old and unwanted picture frames!